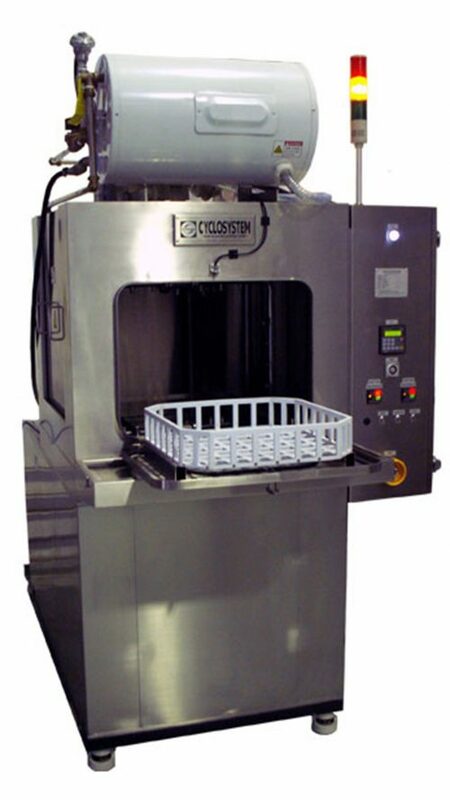 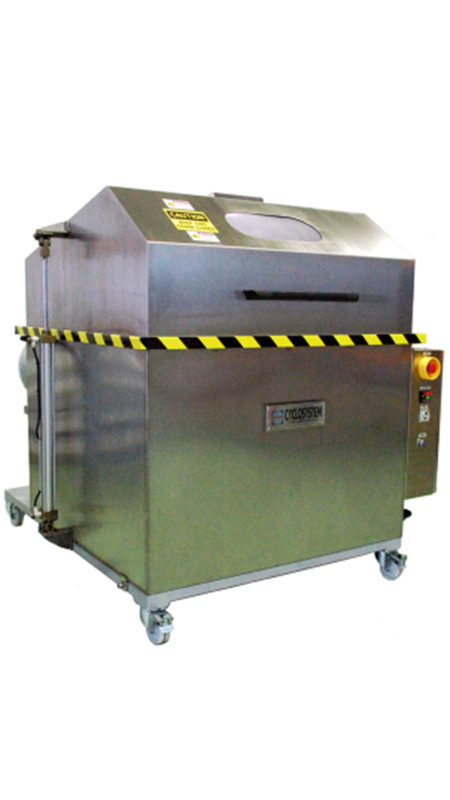 A top-loading fully enclosed cabinet cleaner that uses high pressure spray nozzles to clean he washparts automatically. 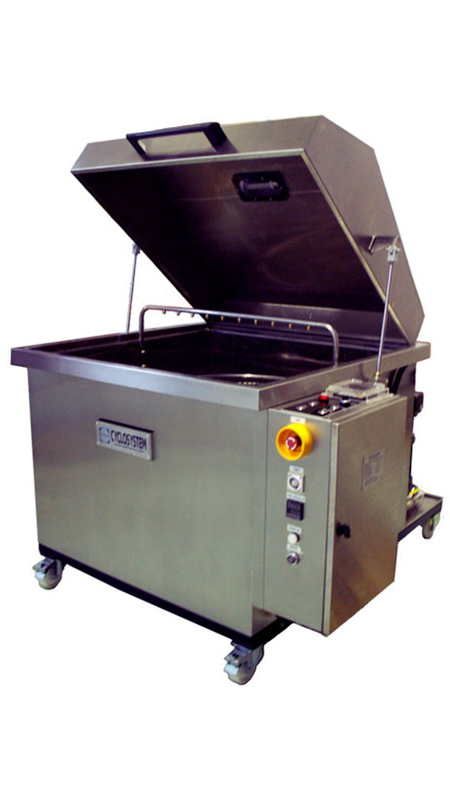 The Cleaner is egonomically and compactly designed to fit and blend ito every possible modern workshop space. 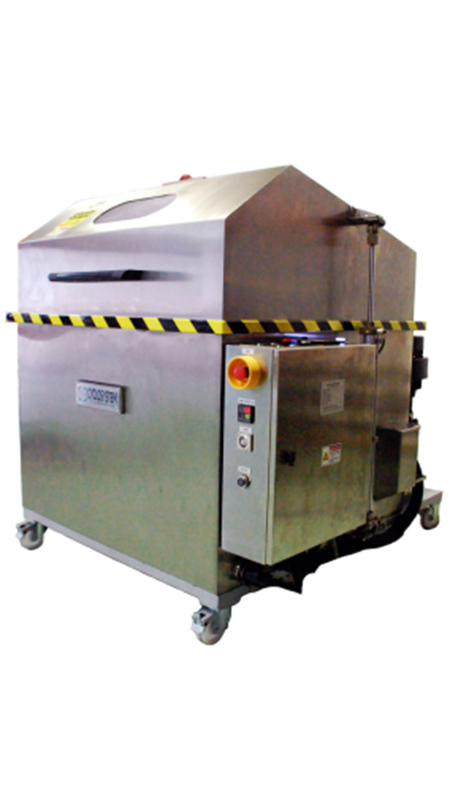 It is modularly designed to include amny options which can transform the basic machine into a sophisticated workhorse. 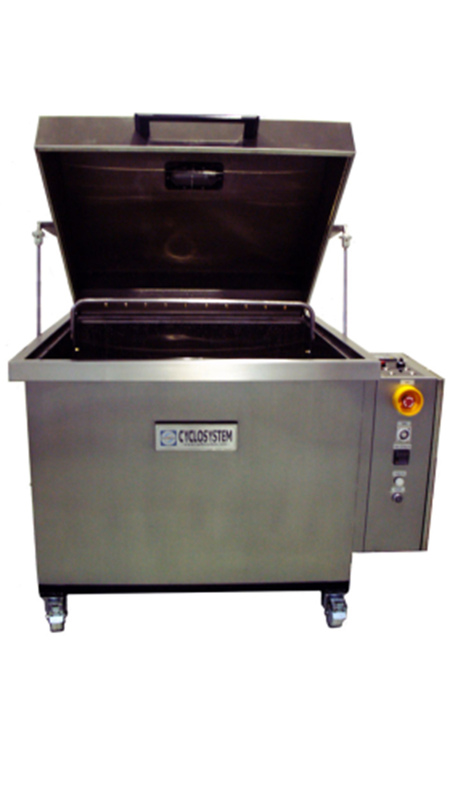 Washparts are placed inside a stainless steel stationary wash basket while high pressure spray jets are self-propelled and rotated to clean the wash parts in all possible directions automatically. 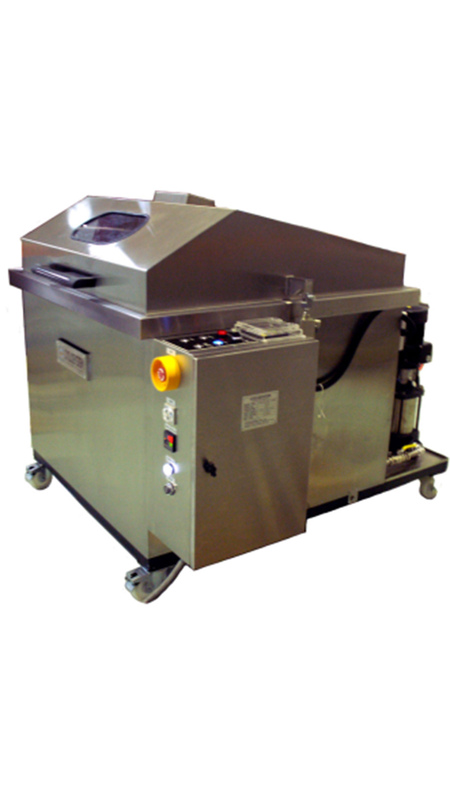 The wash solution is filtered and recycled in the equipment itself, and heavy sludge and grease can be removed out of the Cleaner automatically.